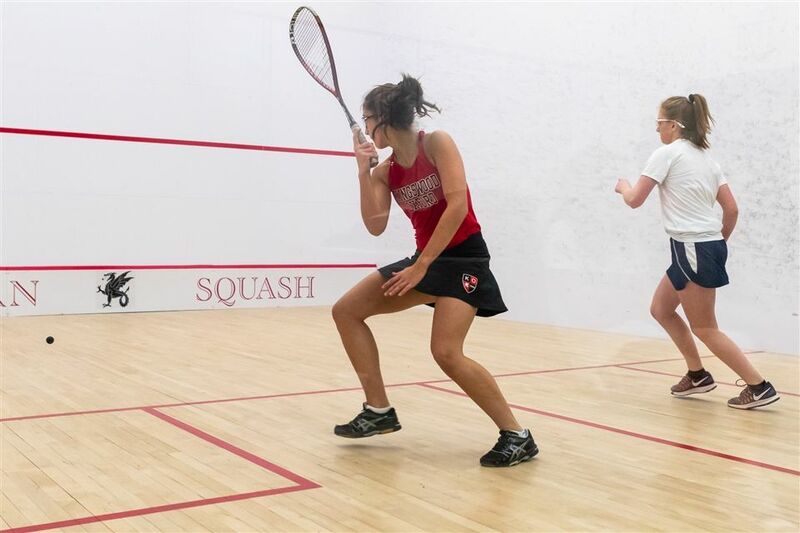 Kingswood Oxford varsity girls squash standout Isabel Berckemeyer ’21 is the Wyvern of the Week. Berckemeyer led the Wyverns with a third-place finish at No. 4 singles at the New England Class B Squash Championships over the weekend. New Englands started well for Berckemeyer as she won both of her matches on the opening day. She lost her first match on day two, but battled back to finish third overall, the best showing for any Wyvern. Last season Berckemeyer finished sixth in the New England tournament, also playing at No. 4. A year older, wiser and more experiences, she was able to improve this time around. A squash player for just four years, Berckemeyer’s best years are ahead of her and she has already taken so much out of being involved in the sport.